This evening I facilitated our first coding dojo at work. 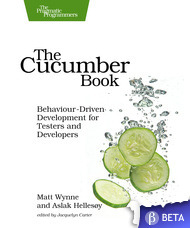 I’d spent some time over the holidays putting together a progression of Cucumber acceptance test cases to build up the solution, and had solved the problem once myself. I used the minesweeper kata from http://codingdojo.org/ which was a really nice easy problem for our first dojo I think. 10 minute retrospective at the end. I was clear at the start to point out that it was rude and disruptive for the crowd to criticise design when tests were failing, but that once tests were green, we would have a design review and do some re-factoring. In fact, as we got into it, we began stopping the clock for design discussions (though perhaps these could also be timeboxed to keep the urgency up) so that people got a fair chance at the keyboard, but we also got plenty of time to analyse the design. I held a little retrospective at the end where we collected some thoughts, then a few of us went for a pint afterwards and talked about it some more. In fact, try short / long pairs and see which we prefer! I tend to perfectionism, so I really enjoyed the last half hour where we just re-factored the right-but-ugly first solution to the problem, extracting methods and classes and moving code around, ironing out the wrinkles and getting the flog / reek scores down. I enjoyed the discussions as we traded off different design principles and weighed up the appropriate route to take. 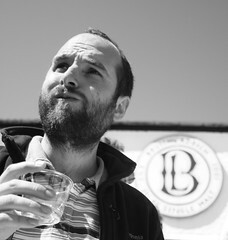 Some people definitely found this time less rewarding, but I wonder whether they rather missed the point: this isn’t about solving a tough problem – we do that all day – this is about solving a simple problem the right way so that next time we hit one of those tough problems, we might be able to solve it a little more elegantly. I would be stoked if anyone forked the repo and pushed their own solution. How low can you get your flog scores? A common sloppy mistake I see programmers making is to forget to declare a method as private when it’s only being used inside a class. This seems to happen more in Ruby, or maybe it just bothers me more because we don’t have interfaces. Rails ActiveRecord validation callbacks are a classic example where people often forget to do this.